All the events and key moments from Barca's 2-1 victory over Real Madrid at the Camp Nou. Lionel Messi brilliant nutmeg on Toni Kroos in yesternight's Clasico. Saurez couldn't have chosen a more appropriate moment to justify the huge 80 Million price tag which brought him to FC Barcelona. If he was capable of something like this, this was the perfect moment to showcase; and showcase he did. The strike not only gave the vital lead in a tightly balanced game, where at time Barca were fighting for survival; it turned the table also. If Barca were struggling for survival before that strike then after it Real Madrid we trying desperately not to get over run by. Now with a vital 3 points that too in this late stage we move to four point lead on top with just ten matches left. Even though Real Madrid have the advantage in terms of being ahead in the head to head account in terms of goal; the four point advantage will make them more desperate and may give us a bit more cushion. The way this match turned on its head against them may even take the lives out of their season, especially being set to meet Atletico Madrid in UEFA Champions League in coming month. To summarize the match, we went ahead against the run of play in the first half with a brilliant Mathieu header from a Messi free kick; yes you heard it right from a free kick. Ronaldo helped Real Madrid equalize after some great skill by Benzema and even greater sloppiness from our defense. Then came the most decisive moment in the match in the second half, courtesy of Luis Saurez. Enjoy all the goals from last night's 2-1 victory over Real Madrid. Barcelona Futbol Club, will definitely go in to tomorrow night's Clasico clash with Real Madrid with a definitive advantage. With a point lead at the top of the La Liga table, Barcelona doesn't have to chase this game where as Real Madrid would definitely love to go on top of the table following this match. With only ten matches left after this one in the League both team may have not much leverage left after this. Looking at the remaining fixture both teams have their share of tough matches after it. So any one emerging as a winner in this match will definitely be on the front foot to regain the La Liga title. The first Clasico was a big disappointment for Barca fans and team with the team being taken apart by the Los Blancos. But after the Winter break, the form of both the teams have changed drastically. Barca inspired by Messi is in a roll where as Real Madrid like his talisman Ronaldo is struggling a bit. 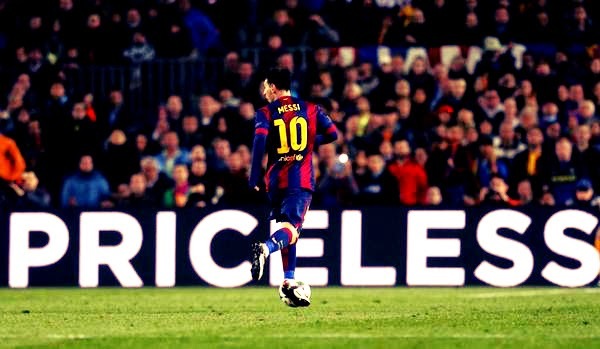 Lionel Messi, what can one say!!!! Maniuel Pelligrini summed it up better than anyone - " When Messi gets the ball, he unbalances everything. " Technically that was happening all through the match yesterday. Not only for Manchester City defender also for Barca attackers. Other than that I don't have any explanation for the tons of lost chances apart from the two word "Joe Hart". It's funny Messi ended the two legs the same way - with a feeling of dejection. His opponents also ended the same way. At the Etihad he was destroying the psych of the defending English Premier League players at will but the match ended with a missed penalty and a missed header with an open goal at his mercy. Yesterday also he ended with on his back looking to heaven may be begging the almighty to let him score one past Joe Hart. 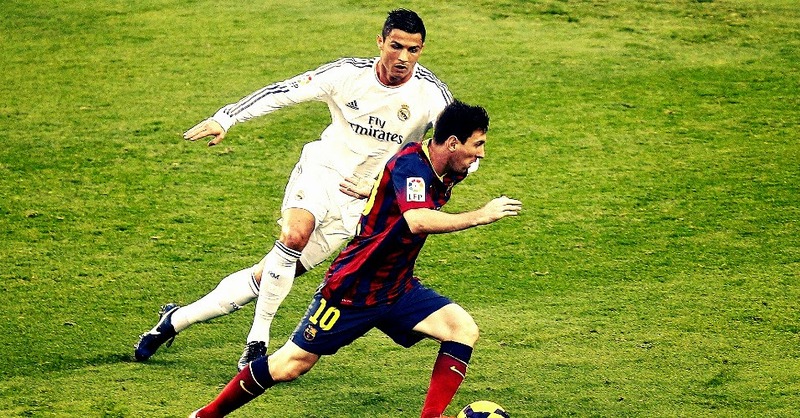 So we now start with the "Greatest Player Ever" debate especially with the Clasico coming this weekend. Messi has grown lot as a player even mentally in this season as showcased by his post match comments to Canal+ "Not along ago, I was a disaster, Now I’m not going to be a disaster and then suddenly in my best moment." FC Barcelona jumped to the top of the La Liga Table with a sensational 6-1 victory over Rayo at home. Last night's Real Madrid defeat against Athletic Bilbao gave Barca yet another opportunity to leap over their great rival in La Liga table. They had chances at least twice earlier to goto the top of La Liga but they wasted all of those. Now this time around Barca made no mistake such that. This time we simply blew away Rayo to go ahead. 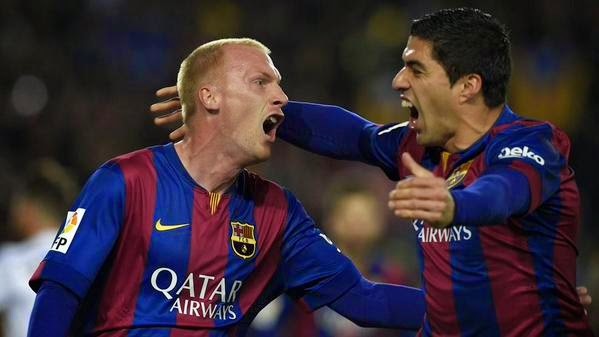 Lionel Messi scored thrice and Luis Saurez scored twice to give Barca the victory. Highlights from Barca's 3-1 victory over Villareal at the El Madrigal stadium in the second leg of Copa Del Rey Semi-Final. Barca will be playing the final against Athletic Bilbao who defeated Catalan team Espanyol to make in to the final.